Hello all! :) Even though I have been yearning for colder winter and rainy days, I have been taking advantage of this warmer weather and bringing out some of my bright colored outfit pieces. 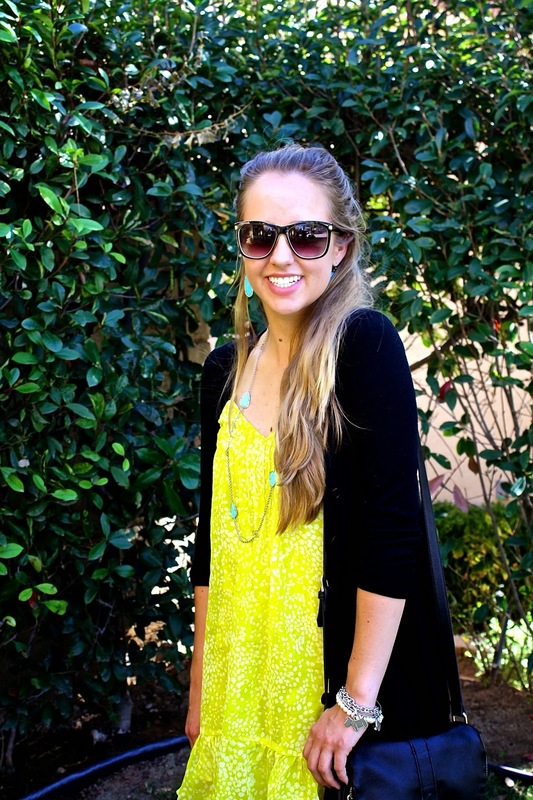 Like this super unique lime green high-low dress by the surf brand Billabong. This dress just happens to be my favorite clothing piece that I own. Sadly, I can not find it anywhere online, but I love this and this dress by Billabong as well. 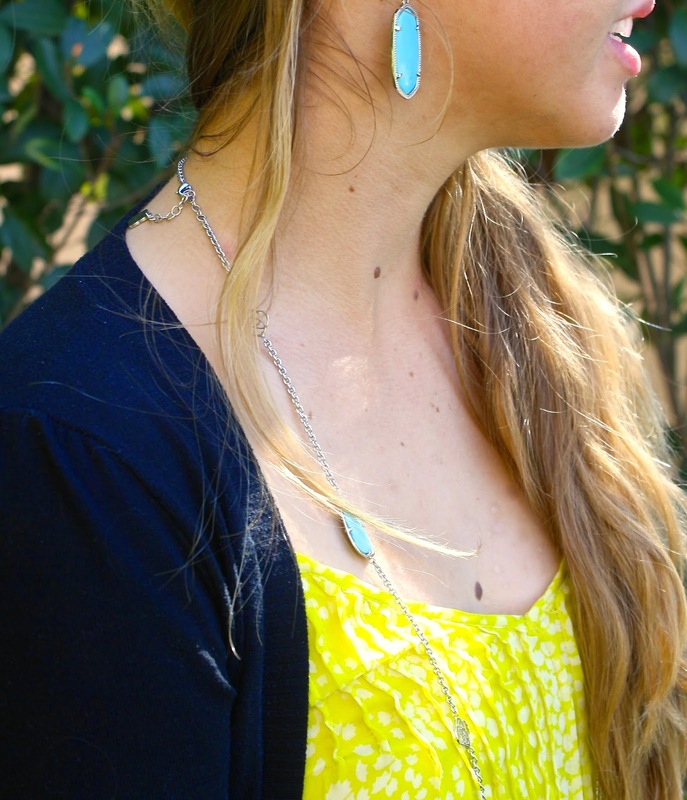 My super lovable and adorable boyfriend gave me some Kendra Scott pieces for Valentine's Day. Isn't he just the sweetest and coolest?! I have literally been wearing them non-stop...and I'm not exaggerating that at all. 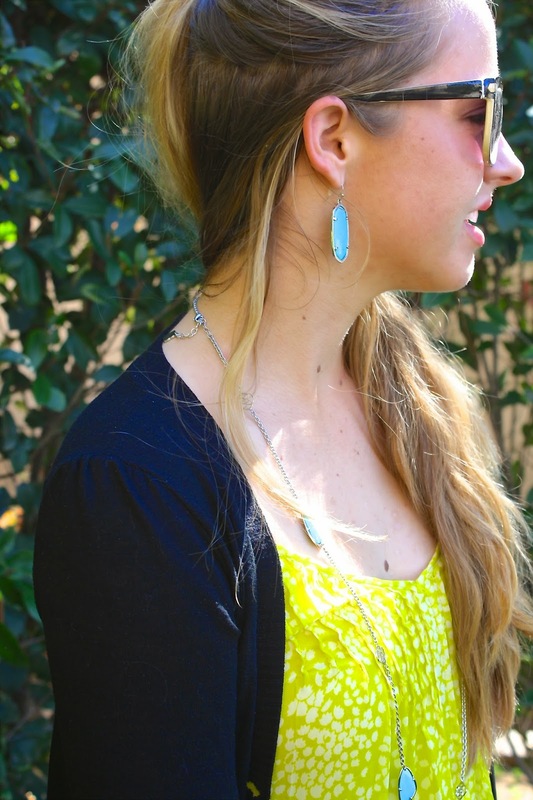 Swooning over your outfit, the colors are gorgeous... and who doesn't love Kendra Scott! ?